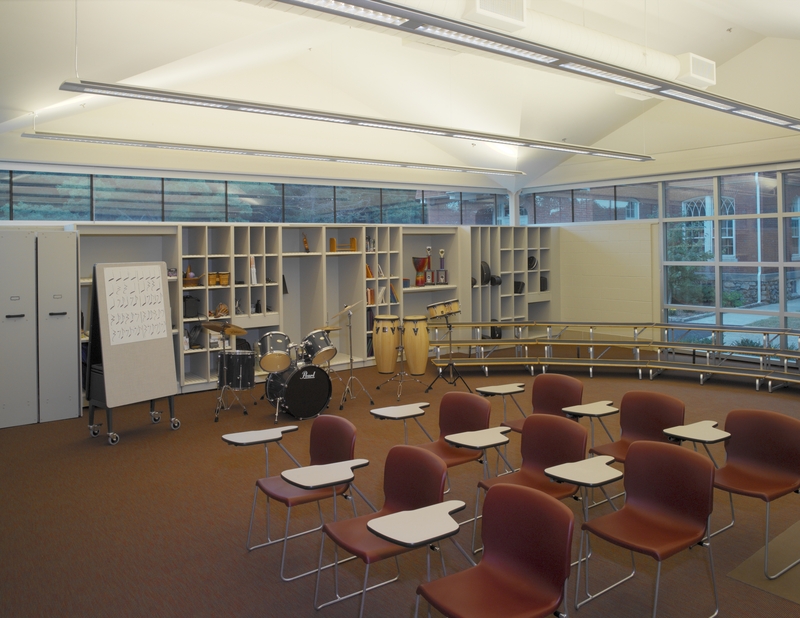 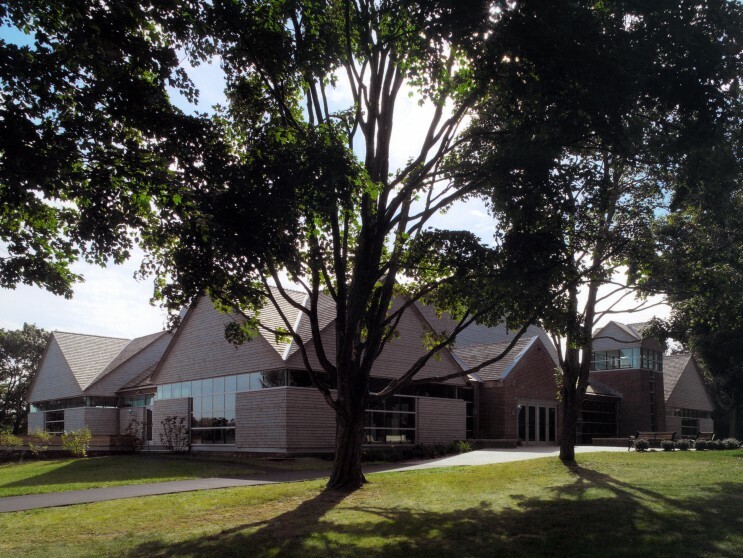 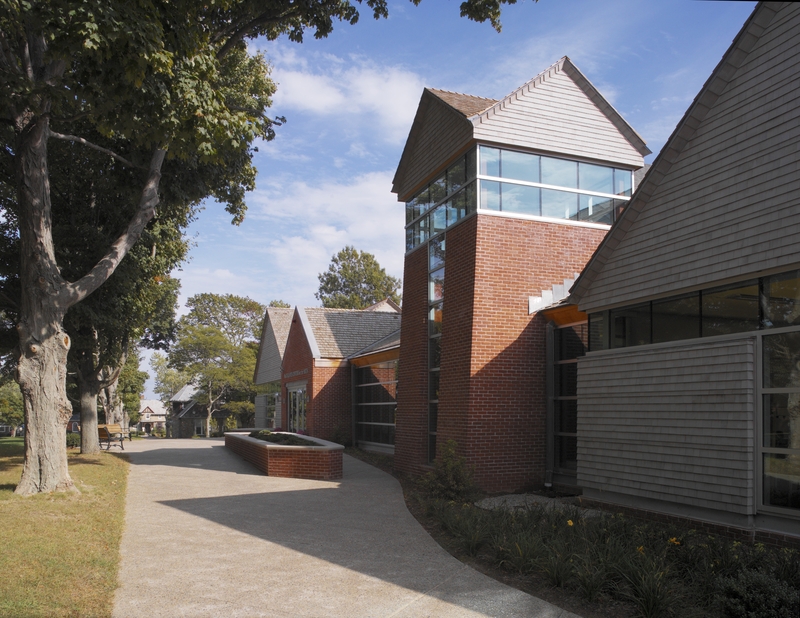 NCA designed an art and music center for a private high school campus comprised of small buildings situated on grounds designed by Frederick Law Olmsted. 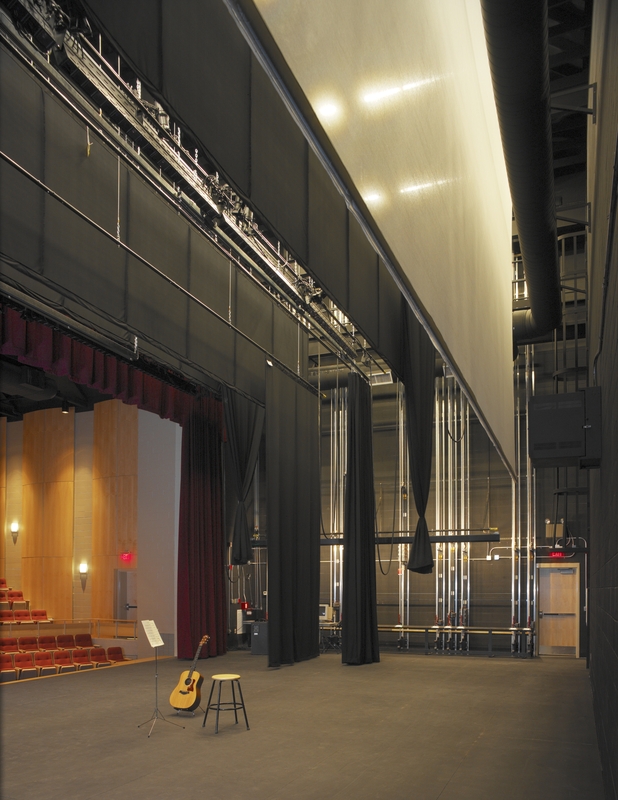 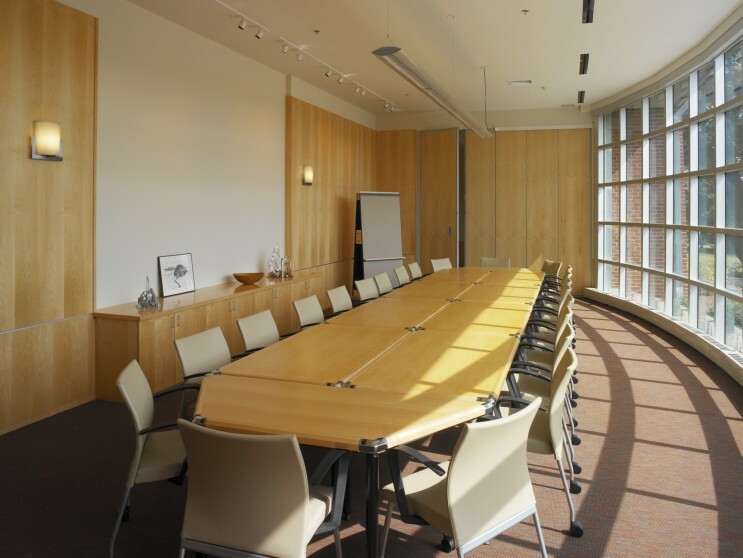 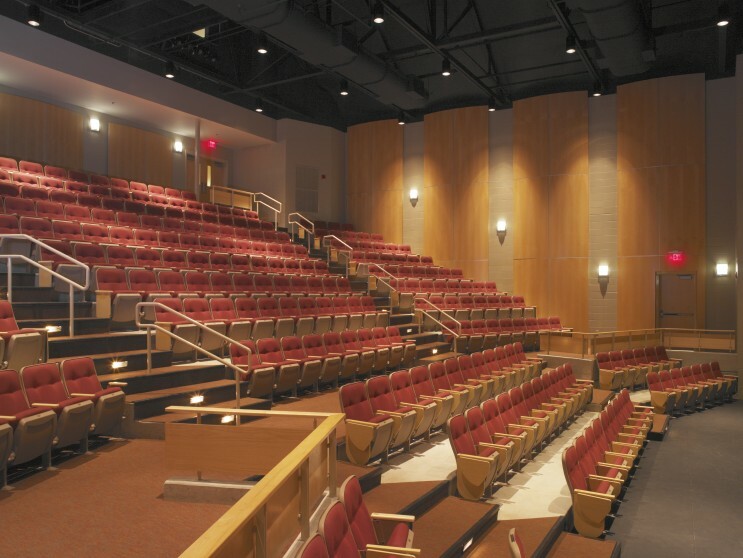 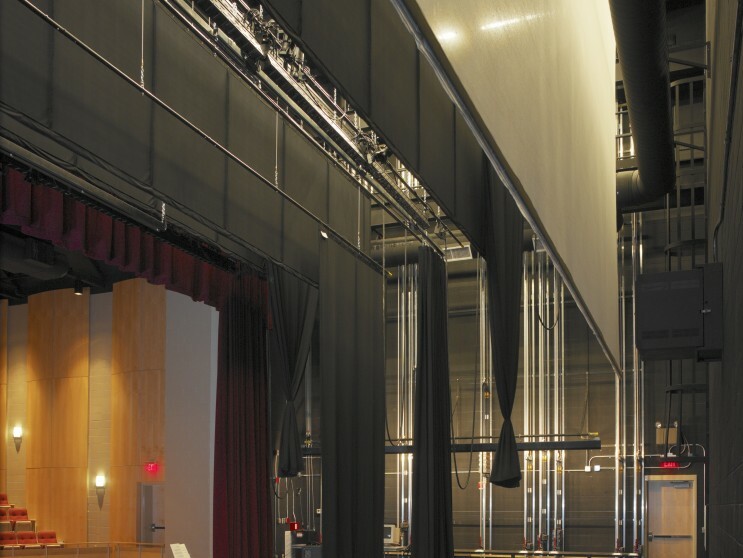 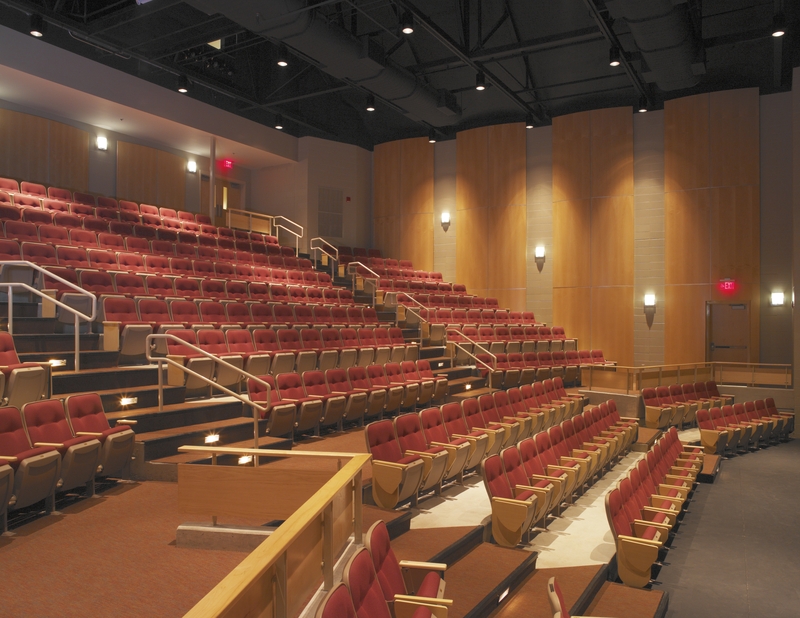 The 27,000 square foot learning environment houses a 300-seat auditorium, theater, photography lab and classrooms. 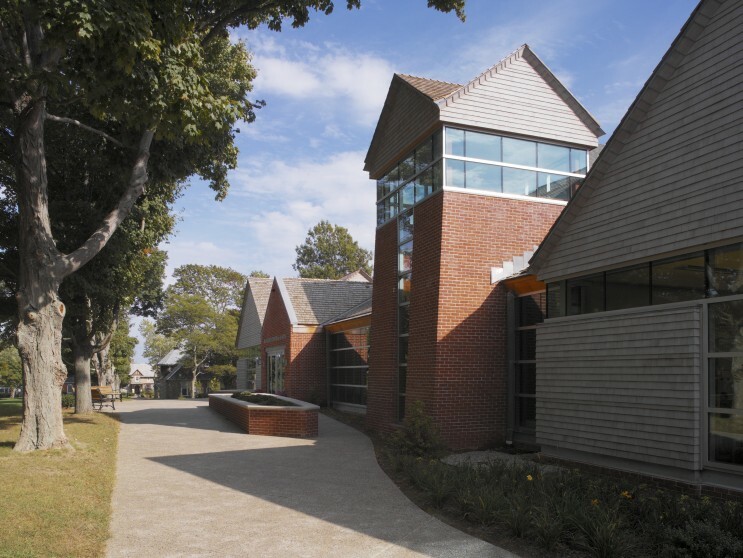 A brick entry vestibule, tower, cross gable roofs and continuous band of clerestory windows distinguish the facade. 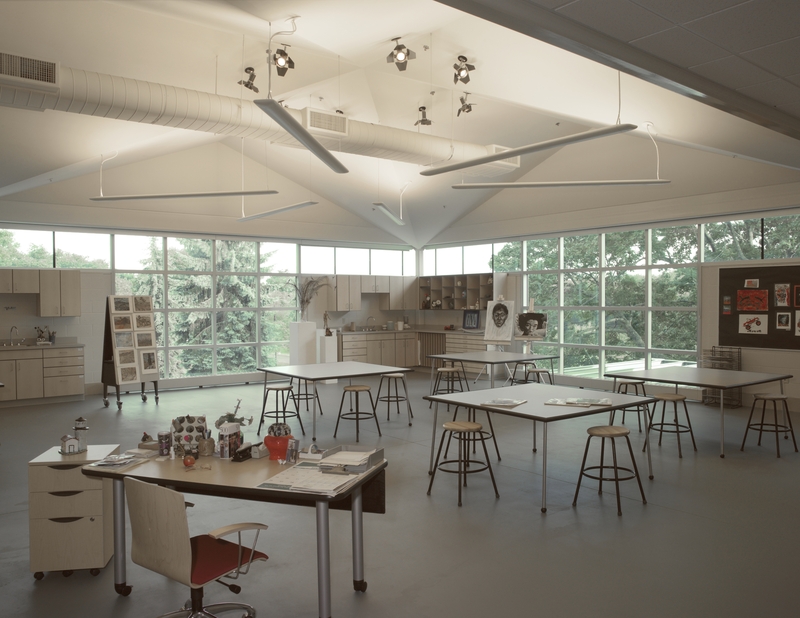 The project earned an AIA/RI Merit Award.